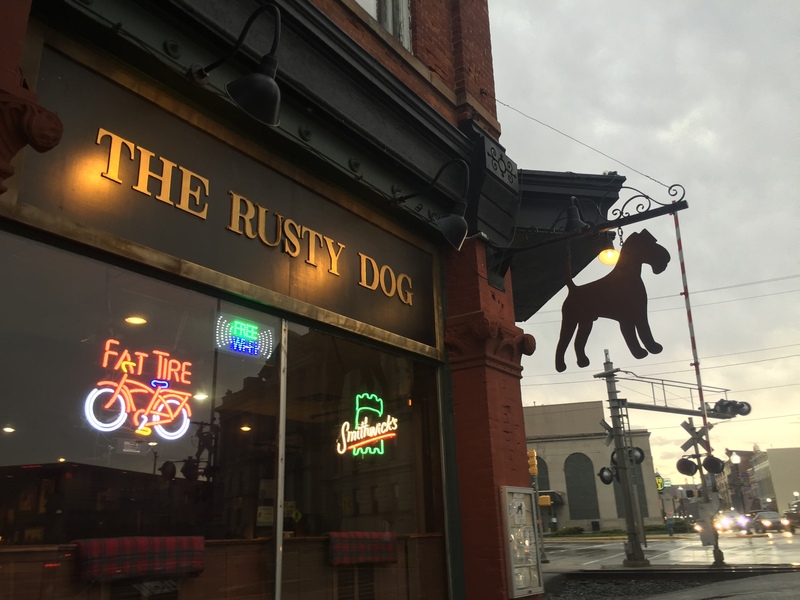 Voted “Best Atmosphere” and “Best All-Around Restaurant” in Huntington last year, The Rusty Dog Irish Pub lives up to its awards and provides downtown Huntington with tasty food in a rustic restaurant atmosphere. The restaurant is divided in two – one part Irish pub, one part family dining- without sacrificing the hearty feel you’d expect from a pub. The modest dining room was adorned with vintage photos of dogs of all breeds, as the name of the restaurant would suggest, and the Irish flags gave the room an authentic feel. The casual dining experience would not have been complete without the pleasant waiter, whom you hardly even noticed, but was always there when you needed him. Armed with knowledge of the menu and desire to please, he rounded out the genuine atmosphere of the restaurant. Dinner entrees ranged from the more expensive steaks and fish to the more wallet-friendly burgers and sandwiches. Charmingly named after different dog breeds, the sandwich baskets offer a collection of unique specialties. The restaurant was awarded “Best Burger in Huntington,” and the Pug burger lived up to its reputation. 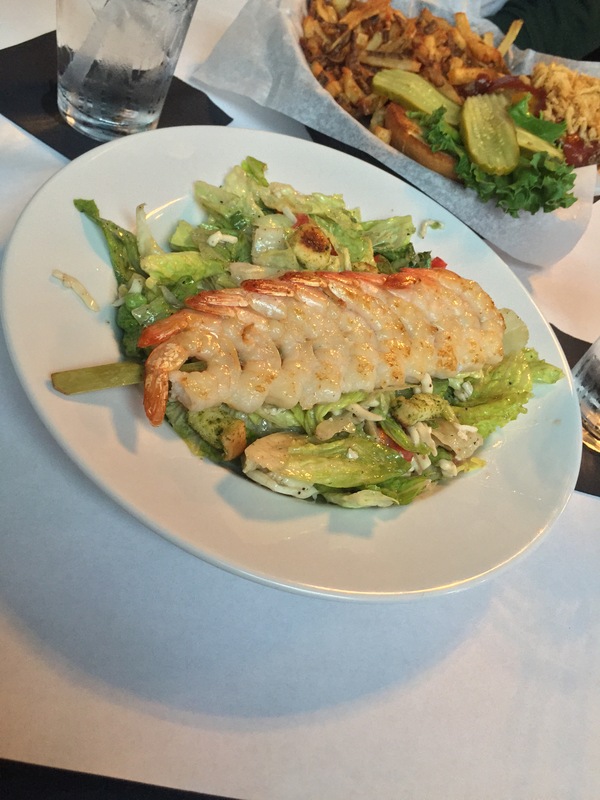 Most everything is prepared by hand on site, including the pub salad with house-made red wine vinaigrette. You can make any sandwich or salad your own by choosing the meat you want it prepared with. The Rusty Dog Irish Pub provided a well-rounded dining experience. The casual pub atmosphere made it easy to feel comfortable, and the food and service were first-rate. If you’re looking for a date or casual dinner that doesn’t include half-off apps, The Rusty Dog is worth a stop.